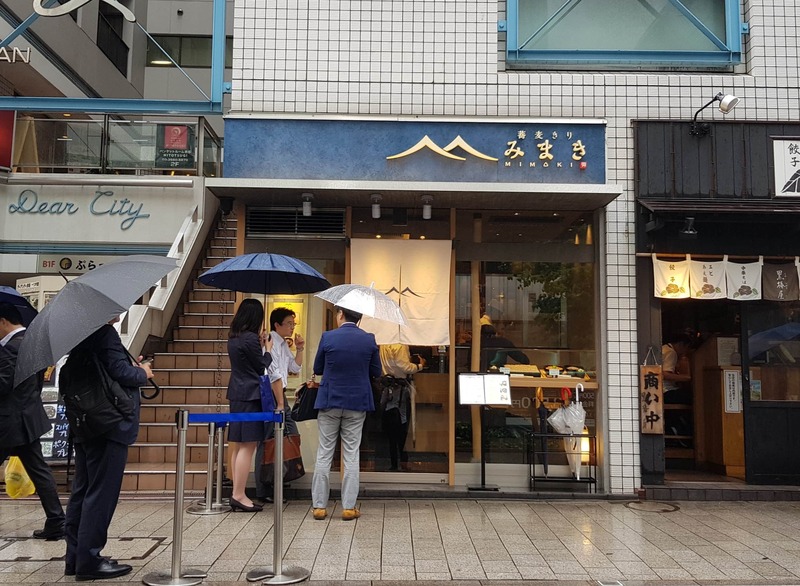 Mimaki is a very popular soba, tempura and donburi (tempura donburi) restaurant on Hitotsugi Dori in Akasaka – about a 2 minute walk from Akasaka-Mitsuke Station. It’s popular for a good reason – the soba and tempura is first class and the prices are extremely reasonable. 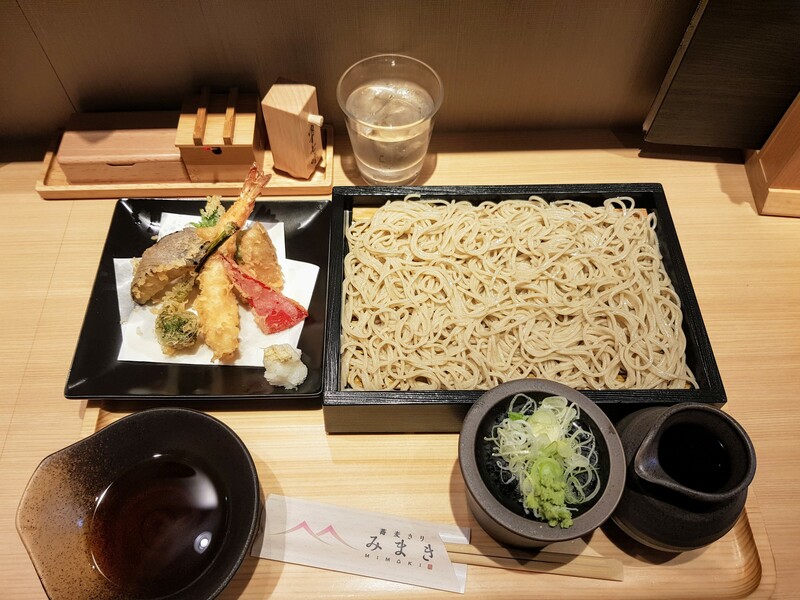 The menu has both cold soba and hot soba dishes starting from ¥540, but it would be a waste to not try some of the fantastic tempura that goes along with it. From the hot menu, you can get a Ten mori soba – a side of vegetable and shrimp tempura with your noodles for ¥840 + consumption tax. The cold menu has similar price points with a basic ita-seiro (just cold noodles and soup for dipping) for ¥540 and a Ten mori itasoba going for the same ¥840 + consumption tax as the hot dish. The tempura is fresh and crispy, and as good as any I’ve had at much more expensive tempura restaurants. The buckwheat flour (soba flour) is sourced from Asahikawa in Hokkaido. Finding Sobakiri Mimaki isn’t difficult – look for the line of people waiting on the sidewalk outside. Thankfully, the service is efficient and the line moves fairly quickly. Mimaki does not accept reservations, which partly explains the long line outside.